What an interesting read! I didn’t know that about hiking the leg higher to pee. But the survival instinct is strong so a dog perpetuating that it is bigger than what it is makes sense. Hadn’t occurred to me, either, despite the fact that we see our little ones peeing several times each day! But it does make sense! I have one small dog and he will stretch his leg way over his head to pee over the mark of his bigger brothers. I’ve read about this theory before. Fascinating. Who’d have thought little dogs would act much like Napoleon. Totally fascinating. Because it reveals something that I am sure is not part of the mental world of just smaller dogs. I am thinking of the dog having a self-awareness that goes beyond the most basic of instincts. Well done! I think it’s hard wired in modern dogs. Mother Nature built in some amazing compensation traits to keep her ‘canine children’ safe. Yes, most probably. 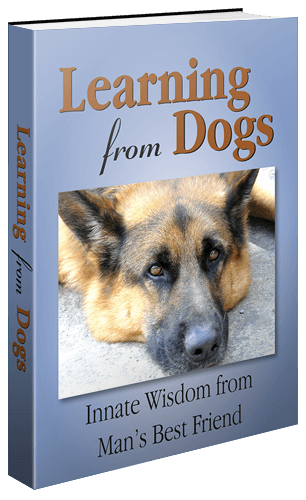 But defining exactly what ‘hard wired’ is in terms of dog psychology is still a fascinating line of thought! Thank you, Sue. You are a very good friend!